Why We Dream takes the reader on a tour of Western dream history and modern Western interpretation. Scientific research as well as ample anecdotal evidence is presented with relatively equal weight, and there are numerous instances of a blurring between science and the paranormal. The author acknowledges these issues, however, and while the line between fantasy and reality is somewhat murky, the information is delivered with a dose of humor and introspection. Due to the nature of Western dream science and the mythos around lucid dreaming the book reads less as a science text than as a layperson’s exploratory, introductory novel into a subset of dream science and dream conjecture. Filled with just as many anecdotes as actual studies, the book tries to present dreaming as an exciting, exploratory pastime (while still noting that many people find dream retelling “the most boring conversations.” A sizable portion of the book is dedicated to lucid dreaming, with numerous methods presented for the reader interested in trying it at home. The research on dream stability, while seeming to have a small sample size, is also of note. This section of the book, which details how “themes and style of our dreams usually hold steady from youth through old age,” is easily the most engaging section, and encourages the reader to recall their life of dreaming and if such facts hold true for them as well. While the book is bound to appeal to lay readers, science enthusiasts should consider passing on this book in favor of more rigorous texts. The overwhelming anecdotal evidence given weakens arguments rather than strengthening them, and no groundbreaking information is presented. Any reader who even tangentially follows science podcasts and news stories will find no additional information in this book—an incredible disappointment. In that same vein, the writing style is much more in line with entertainment writing than fact delivery—something that will likely give the book a broader audience but may leave the more science-minded with a bad taste in their mouth. 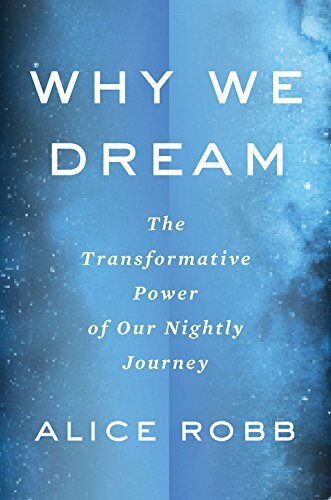 Why We Dream has broad shelf appeal and explores an interesting topic, to be sure, but falls just short of the mark in terms of scientific rigor. Whether this will be an issue to a potential reader will depend entirely on their familiarity with the subject matter.